- Length: up to 12.5 meters. We are offering FRP Concrete Mould to our client. Our company is engaged in offering of a wide range of Cylinder Mold, which are used in paper industry. 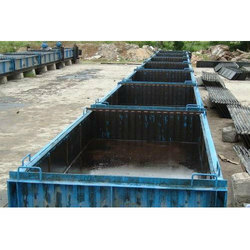 They are available in different specifications and material of construction choices. We are deal in Compound Wall Precast Concrete Mould. Cube Mould four part with base plate size 150x150x150mm (16kg). size 2ft, thickness 2.5" width 9". Our in-depth knowledge and industrial expertise enable us to manufacture and supply a distinguished range of Precast Mould. - Used at construction sites for holding and giving desired shape to the freshly poured concrete. 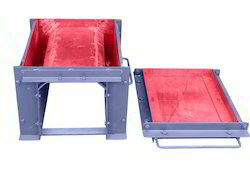 We are manufacturing & supplying of Artifex concrete Mould.